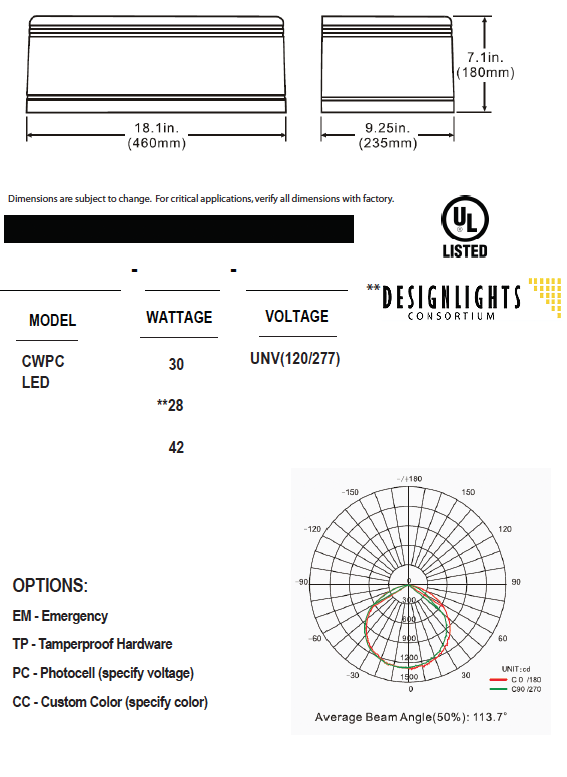 The CWPCLED LED Wall Pack is available in 30, 28 and 42W. LED technology offers an unprecedented lamp life. This fixture is a vandal-resistant, corrosion-resistant, large wall sconce, designed to meet the rugged demands of industrial and commercial applications with European flair. The housing can be mounted directly over a standard 4″ outlet box. 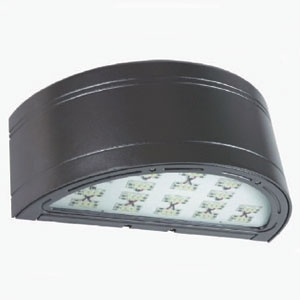 Suitable for wet locations, these lights provide illumination for safety and security along building perimeters. Durable die-cast aluminum with a continuous one piece gasket ensures a weather tight seal.